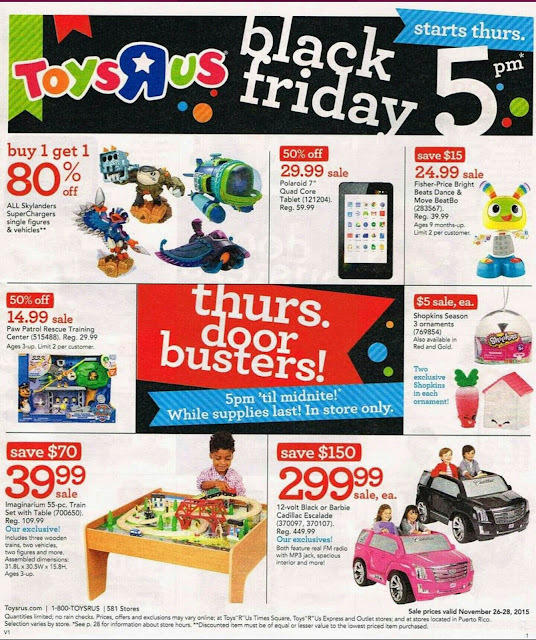 Looks Like Toys R Us Will Be Opening at 5PM on Thanksgiving. The Toys R Us Black Friday Ad has leaked! Toys R Us will be opening at 5:00 PM on Thanksgiving day. They have a few door-busters but not many. View the Toys R Us Black Friday Circular Here!